Freebie fob. His beard is made of fuzzy stuff. 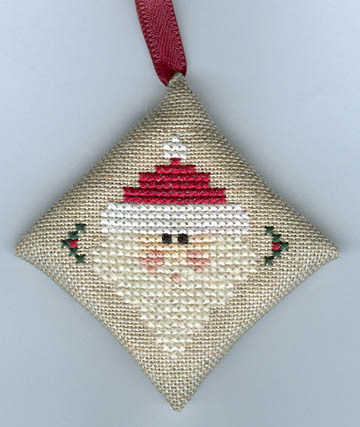 Stitched as an extra for a Christmas ornament exchange for the Needle and Thread Bulletin Board.